Served sweet delicacies in clay pots live display the art of pottery. With an aim to refresh the relation with nature a Vadodara resident Hussainbhai Juzarbhai Amreliwala celebrate his daughter’s birthday in a unique way on Sunday. 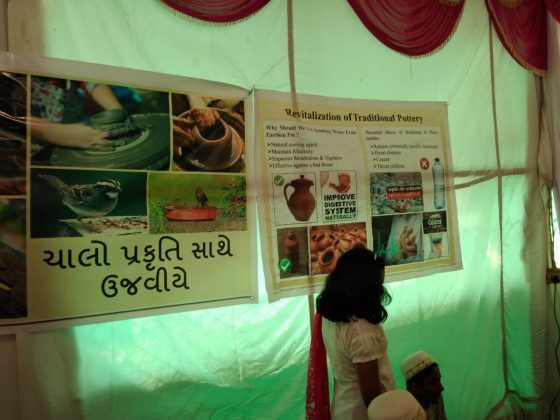 The guests were served the sweets inside earthen pots and they are able to learn the art through a live demonstration by potter at the venue. 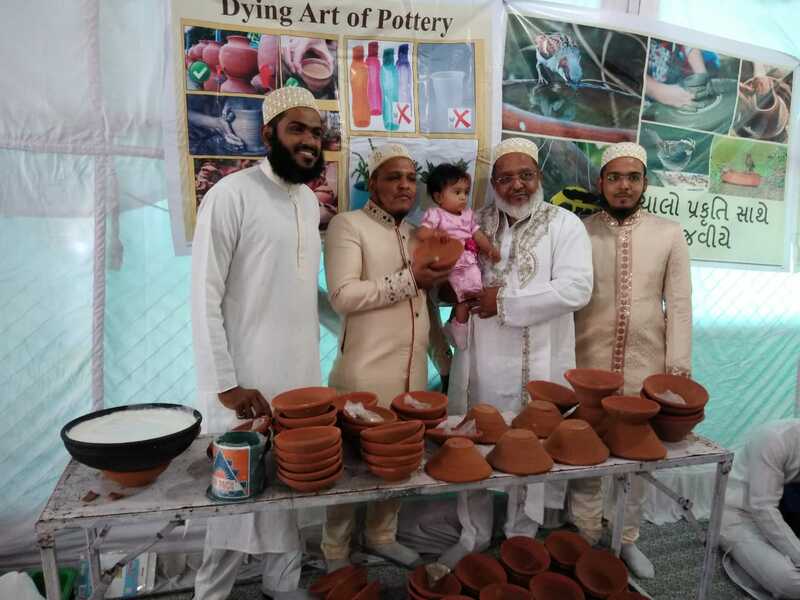 Hussainbhai is inspired with the initiative by Vadodara resident Ali Asgar Vohra who distributed sparrow houses to the guests along with his wife couple of months ago. 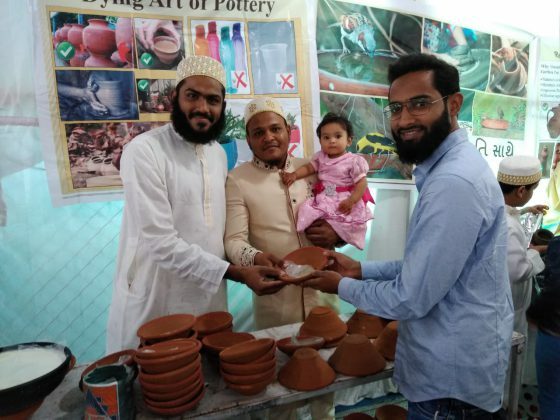 On Sunday he celebrate the first birthday of her daughter in a unique way to spread the message in the society. Without wasting money on lavish celebrations Hussainbhai try to inspire people to get connected with the nature. 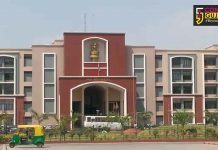 “Nowadays we are getting away from nature in the time when cities are turning into concrete jungles. I often see people are spending too much on the celebrations but I try something else to celebrate my daughter’s first birthday. 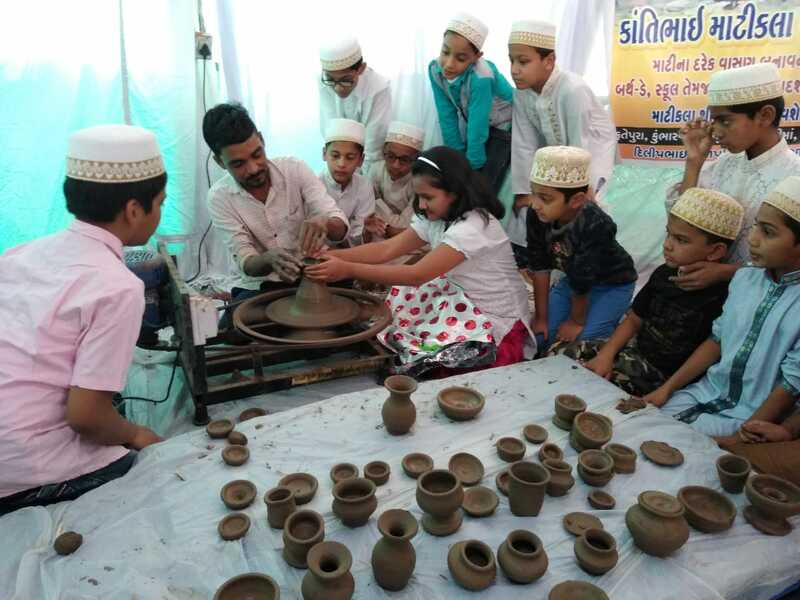 We display live demonstration of pottery where the children learn the art of clay which we played in our childhood. 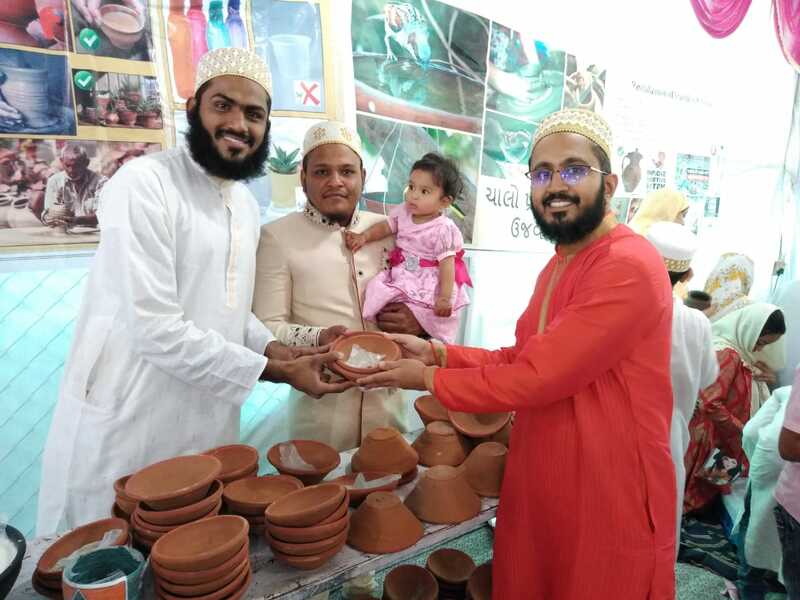 Moreover we serve the sweet delicacies in clay bowls to the guests and tried to present a village like environment,” said Hussain. Ali Asgar Vohra a resident of Panigate area in the city and a research scholar from MSU married to girl from Alirajpur as per tradition. 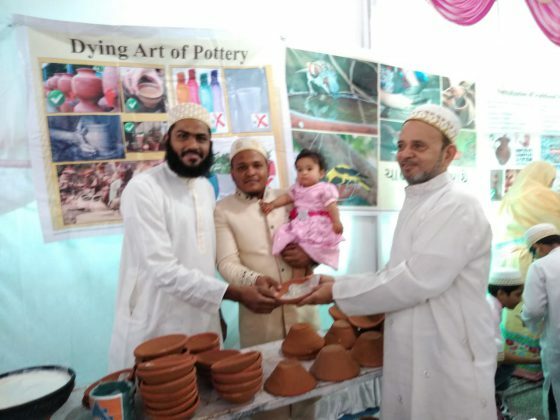 But he add a noble initiative in the whole celebration of his wedding where he and his wife Rukaiya distributed sparrow houses to the guests and make sure the little birdie will also get new home along with him. On Sunday he was also present there in the birthday celebration and distribute pots and bowls to the guests as return gifts. 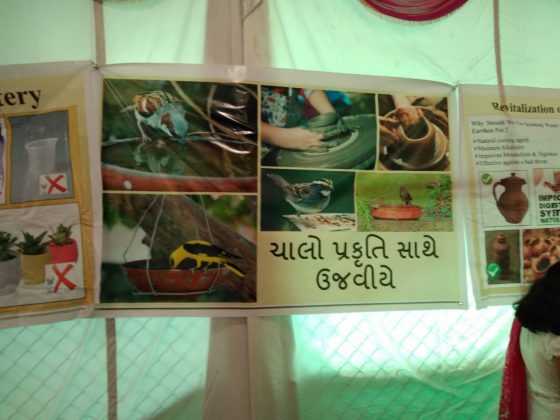 The message is loud and clear to get connected with nature in every possible way. 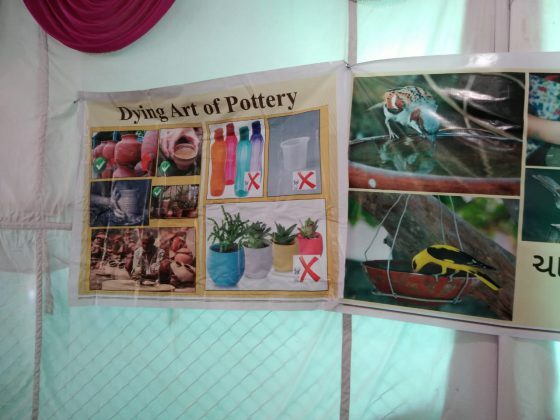 A poster exhibition is also displayed at the venue showcasing the dying art of pottery and saving the sparrows.